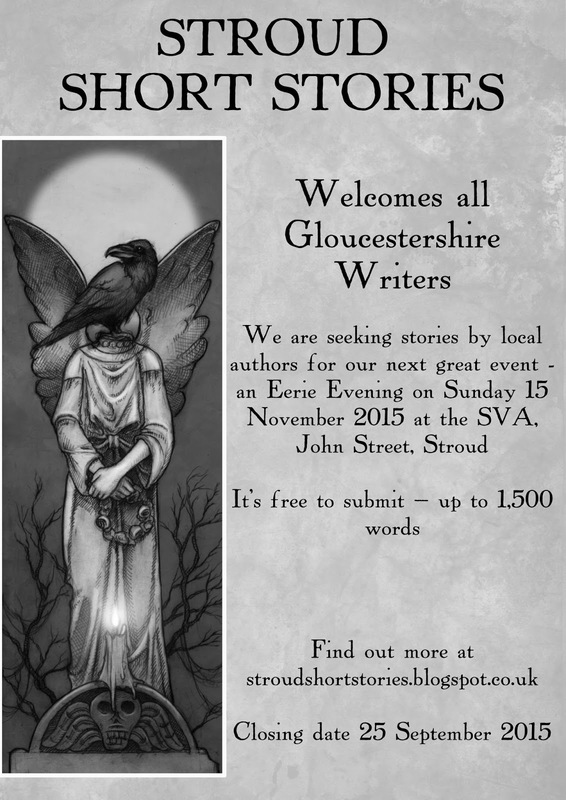 49 Gloucestershire/South Glos authors submitted 63 stories to the judges for our 15 November Eerie Evening. The standard of submission was, as we expected, very high with about half the stories being seriously considered for our event. Our judges, Nimue Brown and SSS organiser John Holland, chose "blind" - without knowing the identities of the authors. The ten authors selected include eight who will read at SSS for the first time. 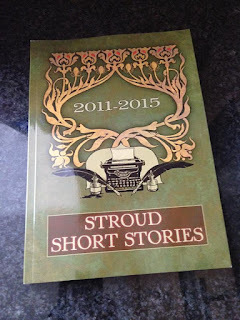 These are wonderful stories - strange, idiosyncratic, dark - and in two cases, very funny. The event starts at 8pm, with doors at 7.30. We normally end the evening's proceedings at about 10pm. Come along if you can. It's going to be a great evening. 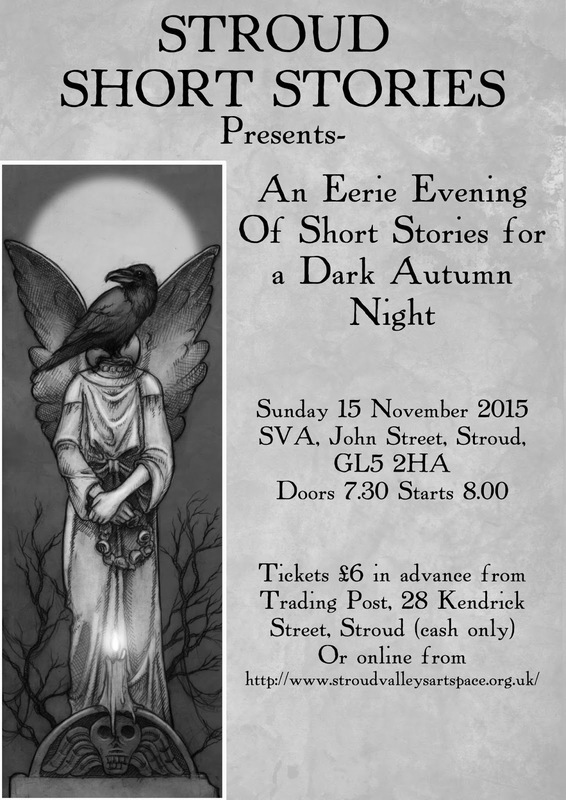 Ticketing for the event is organised by the venue - The Stroud Valleys Artspace (SVA), John Street, Stroud, GL5 2HA. 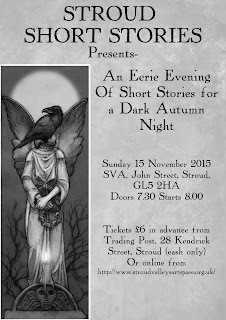 Tickets are £6 each (no concessions) and are available from two sources. Firstly, Trading Post, 28 Kendrick Street, Stroud, GL5 1AQ. In person and by cash only. The event starts at 8pm, with doors at 7.30. We normally end the evening's proceedings at about 10pm. Tickets normally sell out in a week. Fly, my beauties. 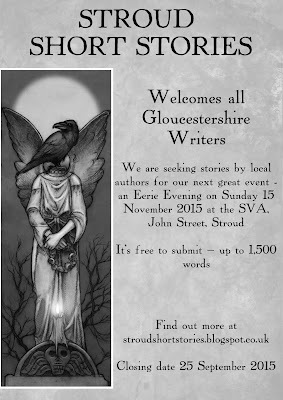 Stroud Short Stories is now closed for submissions to the Eerie Evening to be held on Sunday 15 November 2015 at the SVA, John Street, Stroud at 8pm (doors 7.30). 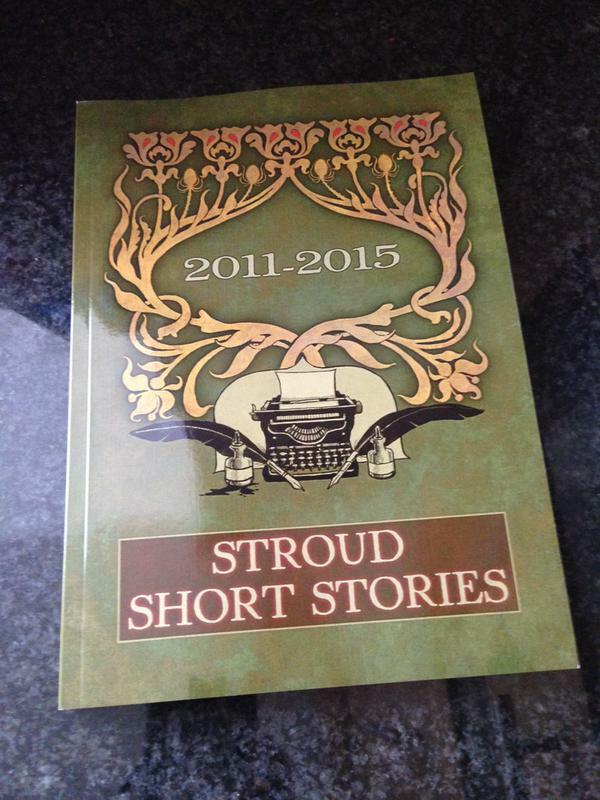 A sincere thank you to all the writers who have submitted stories to us. They will be judged 'blind' by Nimue Brown and John Holland. 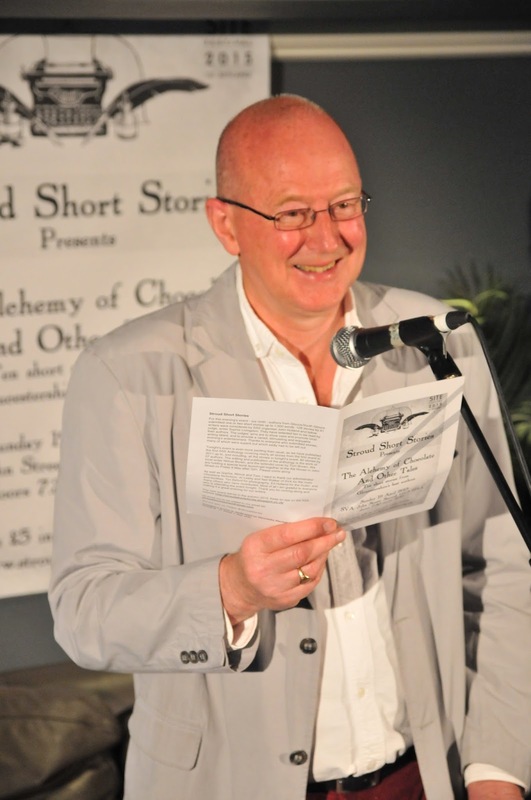 We will announce the ten authors who will read their stories at our event by 2 November at the very latest. Information about ticketing will appear here when we have it.